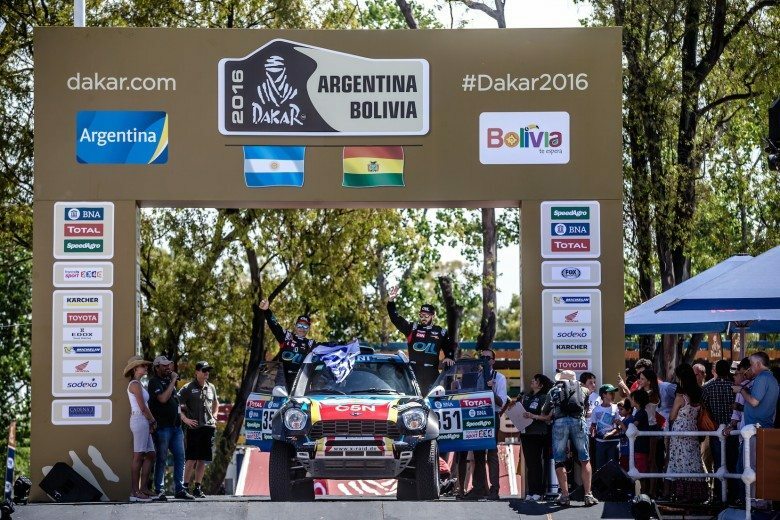 The passion for extreme driving fun, a richly varied model range and the wide selection of personalisation options for which MINI is renowned form the centrepiece of the British premium brand’s stand at the 2013 Geneva International Motor Show. 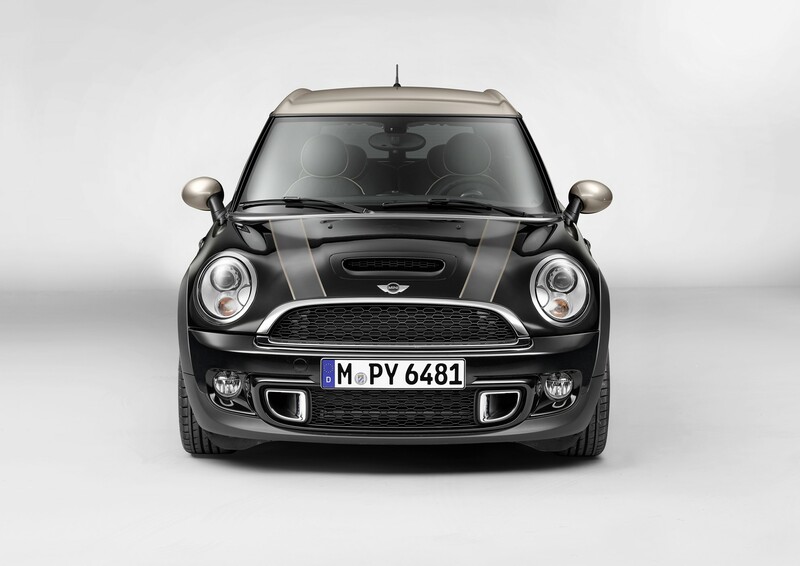 As part of its ongoing model push, MINI is introducing further additions to its portfolio of attractive design models. 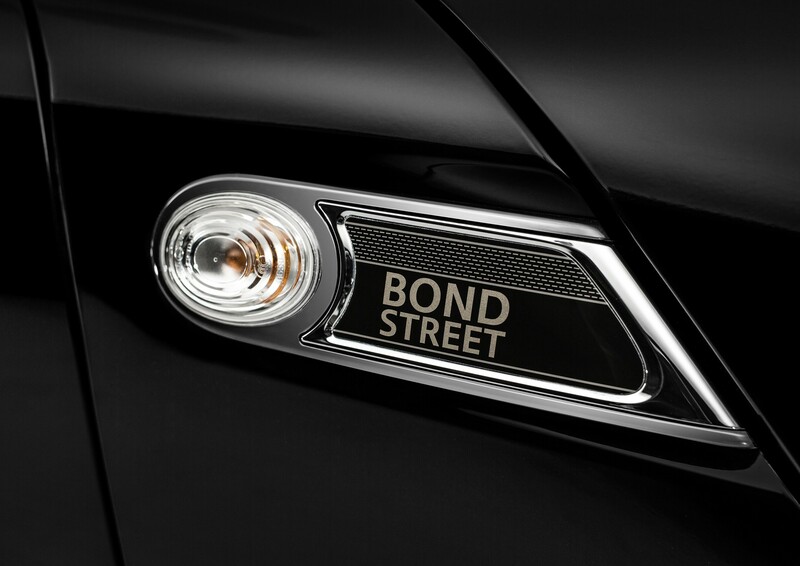 Indeed, this year’s Geneva Show will host the world premiere of the MINI Clubman Bond Street. Generously equipped and with a searching eye for detail, this is a MINI tailor-made for style-conscious customers of the particularly discerning variety. Geneva will also welcome the arrival of a model destined to capture the hearts first and foremost of drivers with elevated sporting pretensions. The MINI John Cooper Works Paceman blends the charisma of the first Sports Activity Coupé in its class with race-bred powertrain and chassis technology. The John Cooper Works sub-brand – like its MINI parent – now has seven models in its line-up. 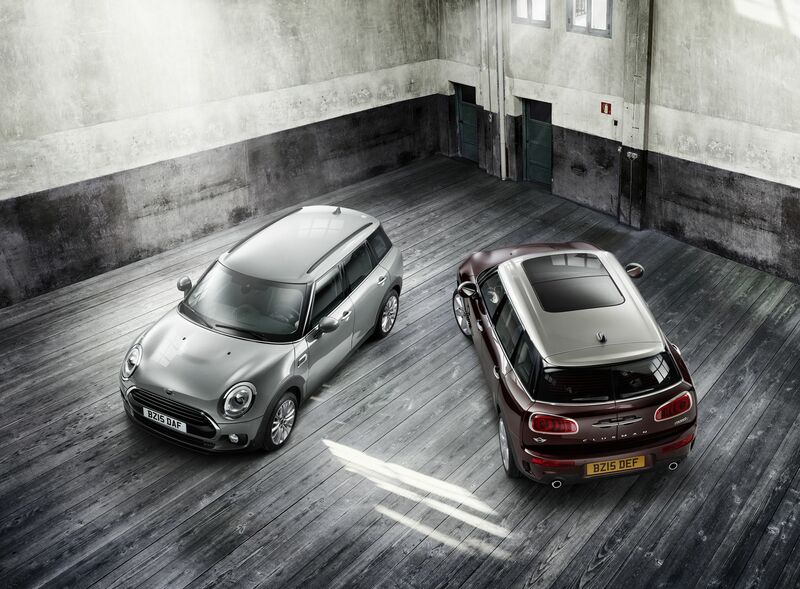 Tailor-made: the MINI Clubman Bond Street. One of the cornerstones of MINI’s global popularity is the particularly close relationship between owners and their cars – one that begins even before drivers have sampled the compelling experience behind the wheel. 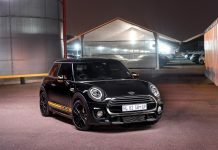 MINI offers an exceptionally broad spectrum of optional equipment and accessories with which each and every car can be transformed into a personally customised one-off. Beyond this, precisely configured design models highlight selected facets of the brand’s character with appealing authenticity. 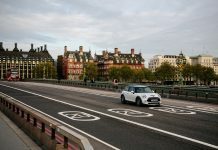 The latest example of this breed is the MINI Clubman Bond Street, which celebrates its world premiere at the 2013 Geneva International Motor Show. Exclusive design and equipment features make it a purpose-built ambassador for the British way of life and premium quality, MINI-style. Its Midnight Black metallic paintwork teams up with the Cool Champagne contrast colour for the roof, exterior mirror caps, lower sections of the C-pillars and bonnet stripes to provide a striking showcase for the MINI Clubman’s dynamically flowing body lines and extended wheelbase. And, like the range of high-quality equipment provided, the bespoke interior colour and materials concept – which includes exclusively designed sports seats and a leather-covered instrument panel – makes the perfect fit for the generous levels of on-board spaciousness. 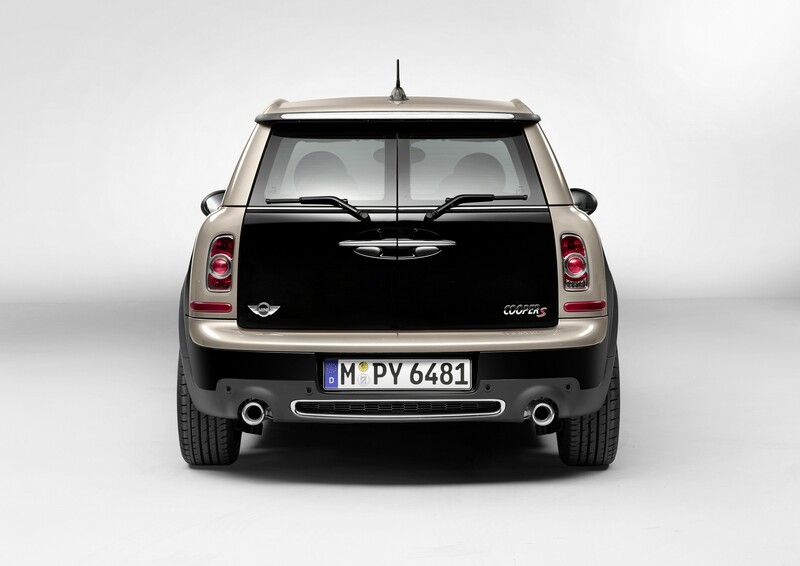 The MINI Clubman Bond Street is joined on the Geneva stage by the MINI Hyde Park. This design model, which is available in either MINI or MINI Clubman form, now also features a combination of Pepper White exterior paintwork and the new contrast colour Cool Champagne. Likewise on show in Geneva is an enviably stylish exponent of the open-top motoring art – the MINI Highgate Convertible. This four-seater soft-top embodies an aura of exclusivity, undeniable individuality and a very British type of cool. Visitors to the Geneva International Motor Show from 7 – 17 March 2013 will also be able to peruse an array of other individualisation options for the current model family. These include the latest MINI Yours items and the retrofit John Cooper Works Tuning products available from the Original MINI Accessories range. Ultra-sporty on any terrain, unmistakable to any eyes: the MINI John Cooper Works Paceman. The elite group of sporting models comprising the John Cooper Works range has also gained another member. The MINI John Cooper Works Paceman cuts an imposing figure before it has so much as turned a wheel. With its powerfully formed front end, the elegantly sporty, stretched lines of the flanks, the coupé-style roof swooping downwards towards the rear, and a broad tail end, the three-door newcomer greets your first glance with a wave of forward-surging intent and the promise of fleet-footed agility. The standard aerodynamic kit, lowered sports suspension and 18-inch light-alloy wheels in Twin Spoke Black Burnished Design add an extra – highly distinctive – sporting flavour. The powertrain and chassis of the MINI John Cooper Works Paceman benefit from technical details honed in racing car development. The four-cylinder engine with twin-scroll turbocharger, petrol direct injection and variable valve control develops 160 kW/218 hp and sends its power through a six-speed manual gearbox as standard. A six-speed automatic with Steptronic and steering wheel paddles is available as an option. The MINI John Cooper Works Paceman is the second model – after the MINI John Cooper Works Countryman – to be kitted out as standard with the ALL4 all-wheel-drive system. 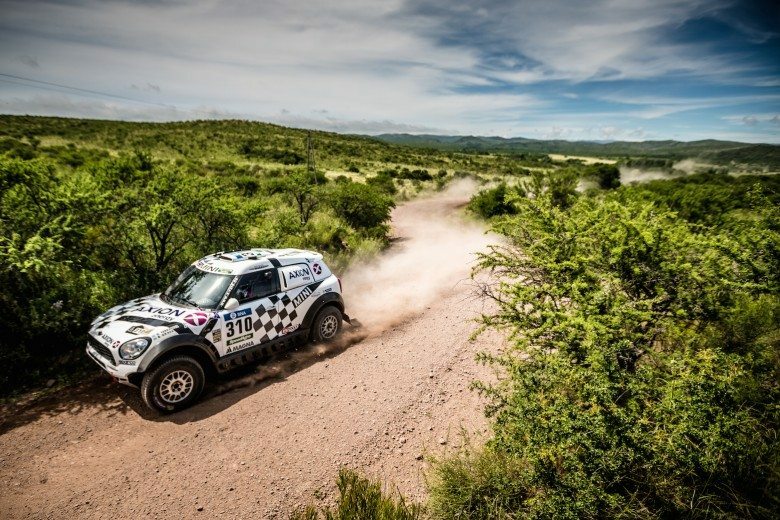 This allows the power of the turbocharged engine to lay on extreme driving fun both on the road and over rough terrain. The control electronics of the ALL4 system are integrated directly into the DSC (Dynamic Stability Control) management unit, allowing it to adjust the distribution of engine power extremely quickly and precisely according to the situation at hand. 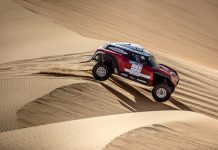 And that gives the MINI John Cooper Works Paceman majestic levels of traction on loose ground and extreme sports performance through corners.